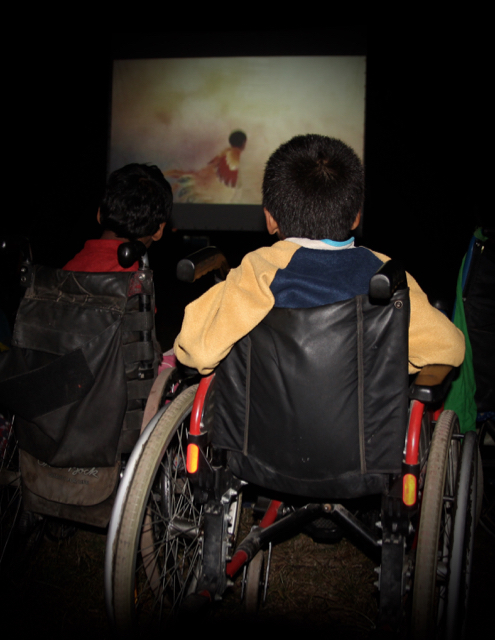 For our third screening we visited Khagendra, a home for disabled children and adults. 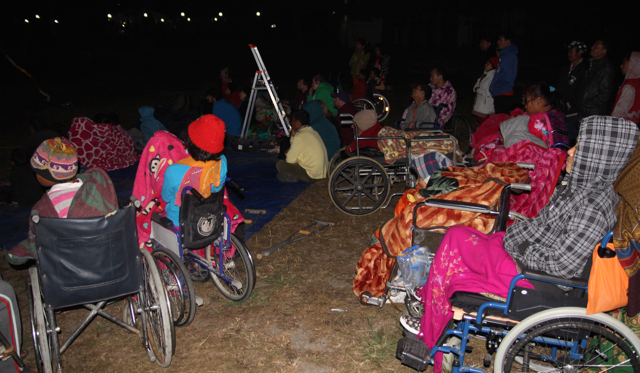 It felt really special putting on a screening for them all, especially as they don’t get much in the way of facilities and activities. They were all very excited to have us visit and there were lots of smiles and laughter. Some are able to move about themselves, whilst others have to be moved around in their chairs or on trolley beds, but the centre is very understaffed so they’re very limited to what they can do and where they can go. We screened a number of shorts varying from Tom and Jerry to some more magical abstract animations. I’d visited the home twice before and had filmed lots of the residents, we screened a seven minute film of them which got some good laughs and we hope made them feel special. For the main feature the crew played Jungle Book again. It felt like the perfect film for all ages and the mix of abilities. 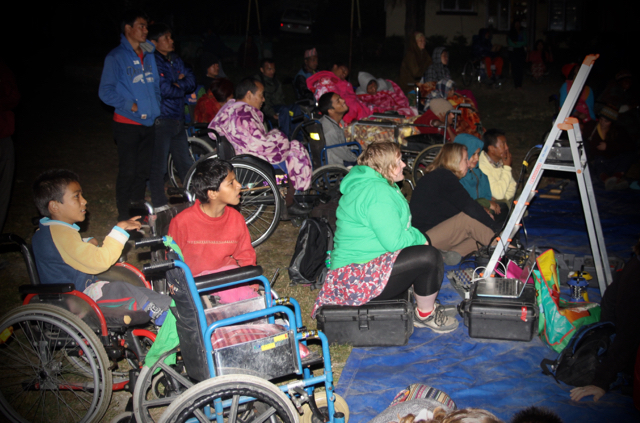 Along with the people who live at Khangendra we were also joined by lots of other westerners who volunteer at and support the home. They all really love our project and think it’s a wonderful idea, and you can see from the photos the kids are engrossed in the films. The Tihar festival continues, and lots of kids are roaming around the streets in groups singing at houses or shops in return for money. It’s a bit like a cross between Christmas carols and halloween! Today is the final day of Tihar and it’s Bhai Tikar, where sisters bless their brothers. 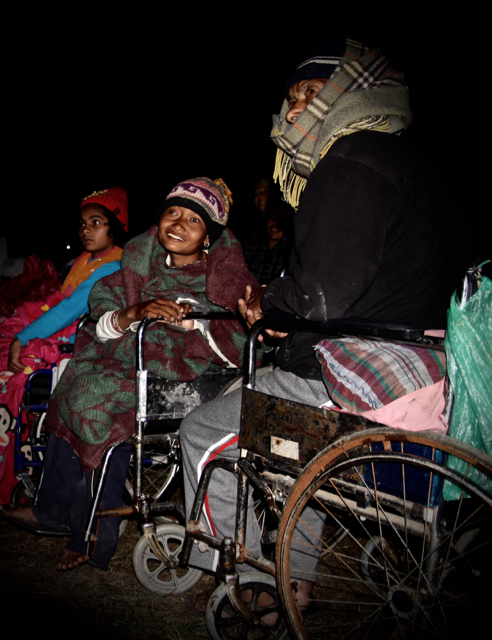 They’ll often travel long distances to be with family, although the fuel crisis is limiting that at the moment. Sisters will put seven multi coloured marks on their brothers heads and give them gifts, and then the brothers do the same to the sisters. This festival strengthens the close relationship between brothers and sisters. 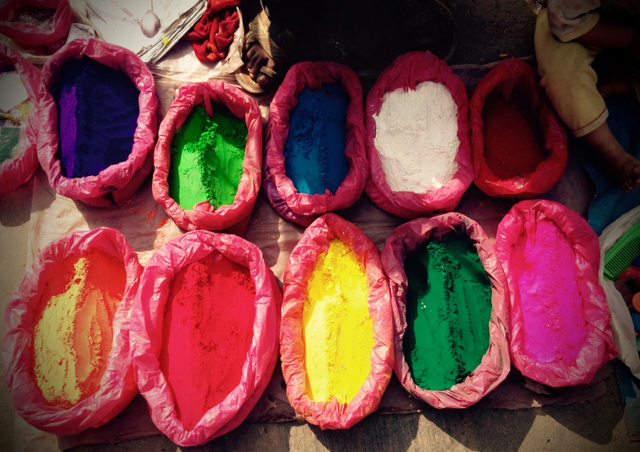 Below is a photo of the powder that makes the tikar.